Samuel L. Jackson is currently having a dynamite 2019! We’re only in March, and the actor has already starred in two films, Glass and Captain Marvel, and is now in production for another. The Hitman’s Wife’s Bodyguard is a follow-up to 2017’s The Hitman’s Bodyguard, and the actor has been posting some photos from London where the movie is currently filming. Today, he posted a photo of a sweet Marvel Cinematic Universe shirt that shows many of the major players wearing headphones. Wonder what we’re listening to? Is it the same same song? Same message?#hitmanswifesbodyguard #shirtsthatmakeyougohmmm? “Wonder what we’re listening to? Is it the same same song? Same message?,” he asked. Many fans were quick to comment on the post, sending Jackson some suggestions of what the Avengers and friends could be jamming out to. “They're listening to ‘Another One Bites the Dust’ after the events of Infinity War,” @dylan__munford joked. “Obviously listening to the Marvel Bunch,” @fedora_de_patrick wrote. “Awesome Mix Vol 3?,” @bruno.pratt added. 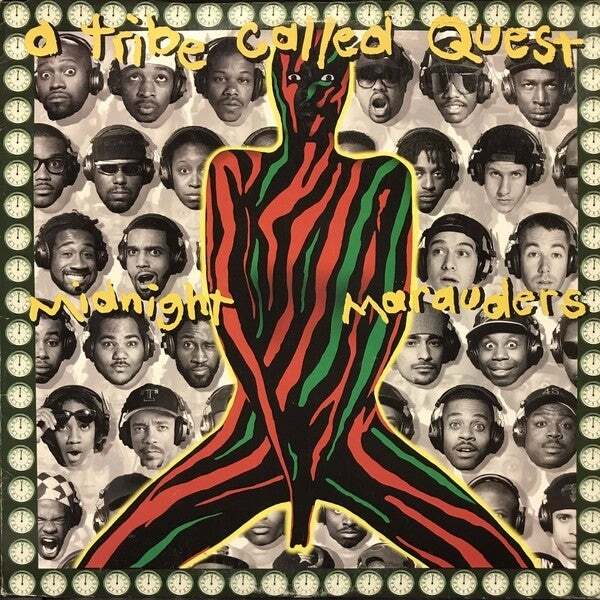 Many people suggested the Midnight Marauders album by A Tribe Called Quest since the shirt is based on the cover. Other folks just wanted the shirt for themselves. “I think everyone in the fandom now wants this shirt,” @peterstark810 observed. “My first born for this shirt,” @malconius joked. While you may not be able to get the shirt (yet), you can at least catch Jackson in Captain Marvel, which is currently playing in theaters everywhere. The film also stars Academy Award-winner Brie Larson (Carol Danvers/Captain Marvel), Ben Mendelsohn (Talos), Lashana Lynch (Maria Rambeau), Annette Bening (Dr. Wendy Lawson), Djimon Hounsou (Korath), Lee Pace (Ronan), Gemma Chan (Minn-Erva), Akira Akbar (Monica Rameau), Algenis Perez Soto (Att-Lass), Rune Temte (Bron-Char), McKenna Grace (Young Carol), Clark Gregg (Phil Coulson), and Jude Law (Yon-Rogg). The Hitman's Wife's Bodyguard isn’t expected to be released until next year, but there are plenty of other chances for you to catch Jackson on the big screen in 2019. Shaft hits theaters on June 16th, and Spider-Man Far From Home lands in theaters on July 5th. Avengers: Endgame Enters Top Ten Highest Grossing Worldwide Movies at 2019 Box Office Before Opening in U.S.